I just want you to know that I’m taking a big risk by posting these at all — goons from Big Tire have made it quite clear that they would like these images of lovely hovercars from French photographer Sylvain Viau to just go away. But I won’t be silenced! I won’t be crushed under your black vulcanized boot. 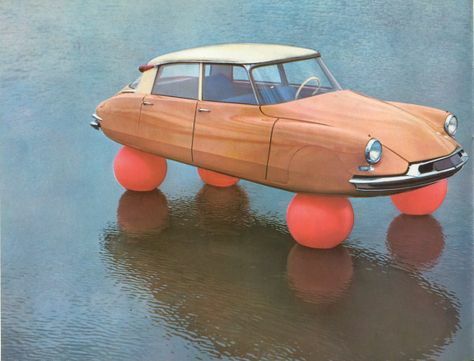 Sure, these cars are very likely just clever Photoshops and not actual, working hovering cars that threaten to put every tire manufacturer out of business overnight — gah! Dammit, took another blow-dart to the neck. Man, I’m starting to get woozy. Where are these coming from? Here’s a few images from his series of these hovercars. I think that X/1-9 looks pretty good sans-wheels, and is it really any surprise that the Citröens look the most natural as hovercars? I guess they’ve sort of been chasing this idea the longest.